The finest acrylic produced in Spain. We buy direct so there are no distributors and no added costs. Where else could you buy genuine cobalts and cadmiums at these incredibly low prices? 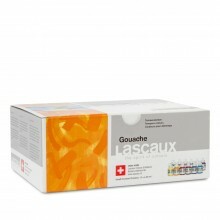 A set of 10 x 21ml tubes of acrylic paint specially selected as a good basic assortment of colours.